The well-being and emotional state of each child is of vital importance at Kirstenhof Primary School. 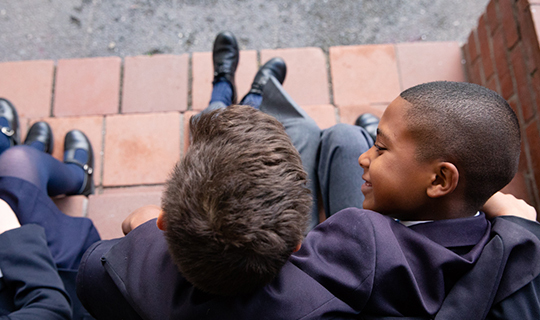 We pride ourselves on providing a safe and confidential environment in which our children, staff and their families can benefit from caring and professional support. Our Lead Counselor Mrs Arton-Powell is a qualified social worker who provides a safe space for children in need or who need to talk, always ensuring they feel comfortable. Learners dealing with severe loss, divorce, anxiety, bullying or low self-esteem are provided with the skills and support needed to face their challenges. Parents are encouraged to attend meaningful parenting sessions on a range of topics such as ADD, healthy eating, pocket money and others. Mrs Arton-Powell is available for consultation when needed and if required, extended counseling is outsourced. You can contact Mrs Arton-Powell through the front office or via email.